This is the third time I try planting peaches, but the first time after our drainage problem was fixed. 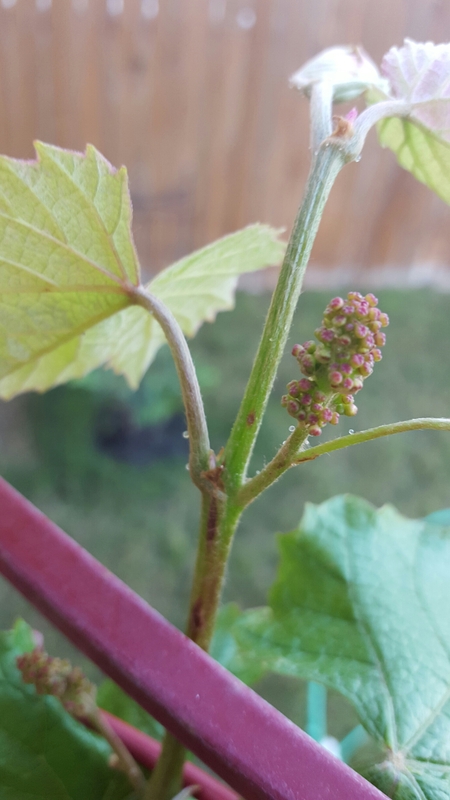 Grapes started to show up. This is the second year we plant a peach tree on the same spot. Last year it dried up and died.